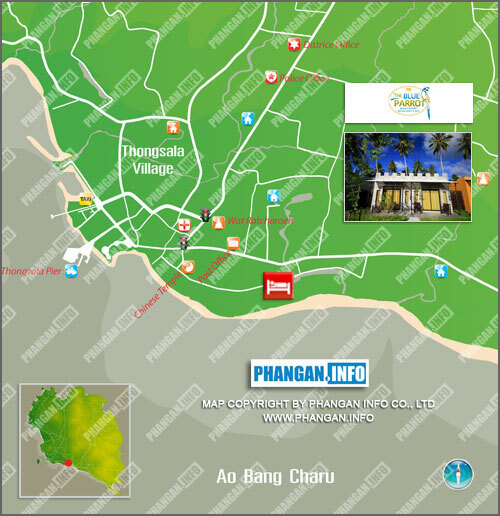 One of the reasons for Baan Tai's great popularity is its easy accessibility and proximity the main towns. Baan Tai is located on the south-east coast of Koh Pha Ngan and is a popular place for folk who want to get away from the hubbub of Haad Rin and Thongsala, which still being near everything; whether you fancy a big night out or want to use the services in the islands capital. Koh Phangan's primary concrete road runs through Baan Tai, thus it is easily reached by all means of road transport and taxi from Haad Rin and Thongsala.